We are a full service residential and commercial roofing company founded in 1989. We have over 3,000 jobs under warranty including 1,800 full roof replacements and 1,200 roofing repairs. We are a member of the Professional Roofers' Advisory Council. We welcome the opportunity to discuss our qualifications in greater detail. 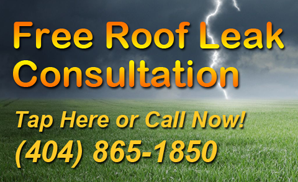 Step 1 - Call us and schedule your free roof repair in-home consultation. 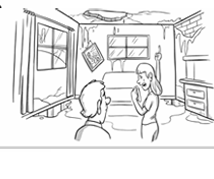 Step 2 - We send a roof repair specialist to your home and provide a quote for a guaranteed roof repair. Step 3 - If you think our quote is fair, we schedule your job or make your repair on the spot. If you are looking for an Atlanta roof repair professional, you have come to the right place because Atlanta Roofing Repair Pros has years of experience providing roof repairs that last. Roof replacement may not be your only choice. We specialize in roofing repair, not replacement. Don’t make the mistake of calling a roofing contractor that simply wants to sell you a new roof. While a new roof may be needed, and we will be glad to provide you with a quote for replacing your roof, the fact is that over 75% of roof replacements are premature. A quality roof repair job can be guaranteed for several years. Know your all your options before you make such a big decision. Our business is family owned. And we have honored all our guarantees since 1989. Our process is simple, call our trained and experienced roof repair consultation coordinator, arrange a time for a free in-home consultation, receive a quote on the spot, and schedule your repair (often we can make your roof repair on the spot). A Roof Repair Specialist Will Handle your Free Roof-Leak Home Consultation, and The Price we quote is guaranteed in advance. There are no surprises, what we quote is what you pay. We accommodate your schedule not ours. 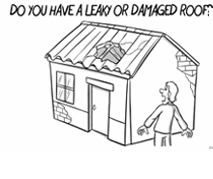 We consider it a privilege and a responsibility to work for you and solve your roof leak repair. Tell us any scheduling challenges you may face and we will work out a solution for you. We operate a drug-free company. You really can’t be too careful in this day and age, work with a company that maintains proper insurance, is drug-free, and maintains an A+ rating with the Better Business Bureau. We are always on time for your consultation. You schedule a time with us and we will be at your home at the appointed time. Our experience allows us to quickly determine a solution for your roofing issue. Our quote will be accurate and we will stand by our quote so you will face no surprises. Experienced. Very few roofing contractors possess the knowledge, training and experience to consistently identify and repair problems associated with your roof. Many offer only one solution: to tear off your old roof and replace it with a new one. You can rely on us to offer you choices to better suit your current financial situation and needs. 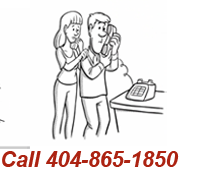 Your roofing repair is just one call away. "Thanks Tom! Your crew came out as scheduled, they were polite and friendly and did a fantastic job! They even came back out the next day to put up a power vent. I couldn't have asked for more! GREAT JOB! Do not hesitate to call this company, they will do you right! " "Quality roof and great service. Everything was done in an excellent fashion every step of the way. Could not have asked for a better roof or better service. I have recommended to my friends and neighbors." "Referred by an acquaintance, I chose them to replace my wind-damaged roof in Grayson. They assisted with my insurance claim reinspection, agreed on a reasonable contract price, went out of their way to make sure we had the right materials at the last minute due to indecision on shingle color, and, most importantly, did a great job on the new roof. The work was done timely, and the results look superb. I have already referred them to a neighbor. Overall, great customer service and quality work."